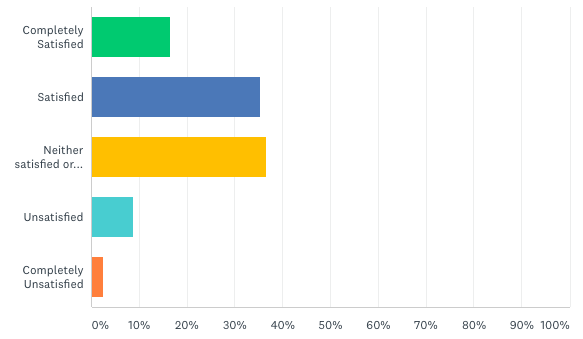 noCRM.io recently conducted a CRM survey to better understand the mindset of professionals in the sales industry. We spoke to 700+ people—including CEOs, managers and sales reps—to find out what they expect from their sales tools and their experiences with current systems. The respondents were recruited on the Internet, with 62% of them managers or above. The IT sector was over represented with 25% of respondents. Other primary sectors made up about 10% of respondents. These included Health, Marketing/Advertising and Manufacturing. There is no denying that CRM is seen as the go-to software for salespeople thanks to extensive marketing campaigns from big-budget brands. The conversation about CRM tools and their capability for managing leads is ongoing, however. 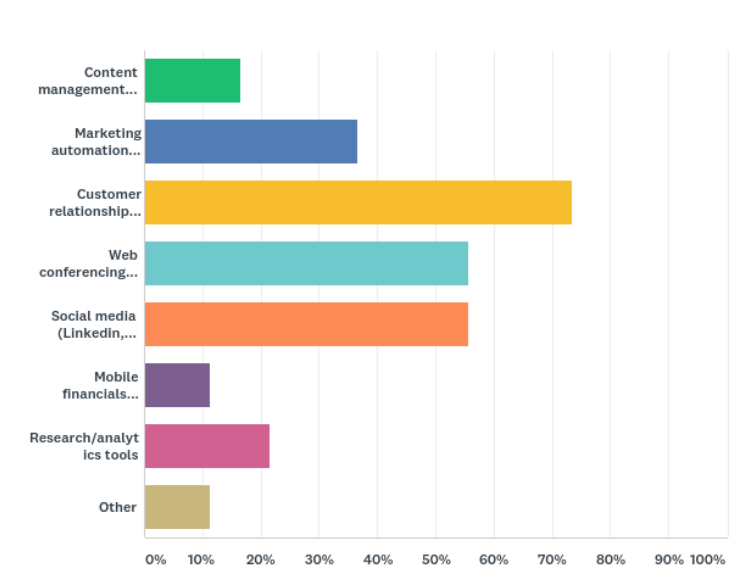 Here is a closer look at the most interesting findings from our CRM survey. We are seeing that salespeople find CRM systems to be the most important tool in the sales enablement stack. This is closely followed by services and applications that enhance social selling and improve connectivity. 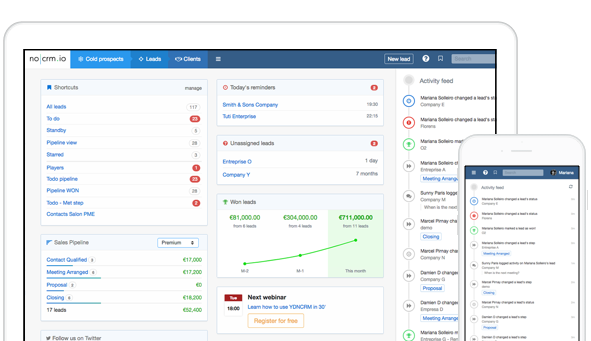 Results convey that most of the participating companies have already implemented a CRM/lead management software. Software tools are vital components in the make up of modern-day sales reps. From video conferencing software, which limits the amount of time salespeople spend in the field thus raising productivity, to social media, where many modern leads are found, finding the right tools is vital. The CRM survey results show that the majority of people that use CRM systems believe the data they provide to be accurate. 84% of those surveyed said the information stored in CRM is either above 90% accurate or was mostly accurate. While it’s reported with confidence in regards to the accuracy of data, in the above graph, 36.71 percent of respondents felt neither satisfied nor dissatisfied by their system. If the data they see in the CRM is useful, then they are more likely to form an opinion. After all, good data should enable you to be more productive in your role as a salesperson. If you don’t have an opinion on the system, it indicates that you don’t use it. This leads to an assumptions that over a third of the people aren’t using their CRM. CRM tools are too complex for companies to correctly set up outside of the IT sector. Digging deeper into the data, it’s clear to see that companies who are not in IT are 25 percent more dissatisfied than those in the information technology industry. Again, while the data found in their CRMs is accurate, it’s not actionable for salespeople. The system could be too complicated to use which mean they prefer to stick to their habits of jotting down information either on their own spreadsheet, notes, etc. In other words, it hinders reps from finding the necessary data to get to the next action. It could also point to the way the system is designed, not allowing reps efficiency in their jobs and yielding unsatisfactory results. Survey results also show that managers spend as much time managing the sales pipeline as they do networking and managing accounts. It’s highly possible that certain CRM systems complicate the sales pipeline management process. They do this by adding too much information or not providing clarity to the sales process, which makes reps and managers spend more time than needed managing their sales pipeline. Systems should generate actionable tasks to secure and close leads faster. When ranking the importance of prospecting, it’s clear to see there is still an emphasis on personal interactions, despite an ideal centered around tasks largely completed online. Reps’ dependance on human interactions is reflected through the importance salespeople place on cold calling, networking events and trade shows. It’s clear to see that cold calling still holds weight as a vital tactic for gaining new customers. 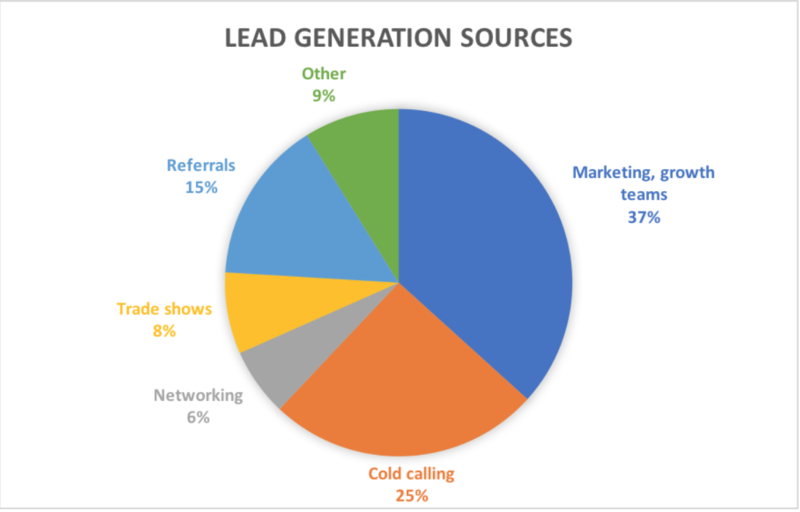 Along with marketing, cold calling is still the top choice for generating new leads. From the 700+ salespeople surveyed, the most interesting result is that sales people are using and willing to use a technological tools to improve their performance. Unfortunately, too many salespeople still do not use on their CRM on a day-to-day basis. We believe this is a consequence of CRM tools proving to be too complicated and too data oriented rather than process oriented. 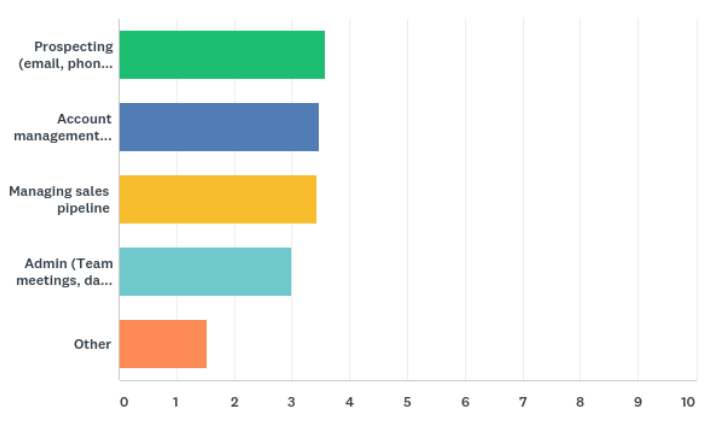 The other interesting results in the CRM survey is that most of the leads come from direct interactions between a salesperson and a prospect as opposed to marketing and inbound. In technology, simplicity is key. Yet too many tools aren’t specifically designed with this feat in mind. Data is an integral part of the vetting process. Selling is about adaptation, the next action and closing. When choosing and deploying sales software in your company always think about who your target audience is and their needs and the way they work.